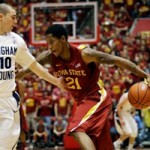 The Iowa State Men’s Basketball team is off to a 6-2 start after a big wins over BYU and Florida Gulf Coast. Will Clyburn leads the Cyclones in scoring at 16.1 points per game. Iowa State finished the Big 12 conference regular season in 3rd place with a 12-6 record. 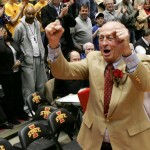 The Cyclones had 22 overall victories, the third-best total in Iowa State history. Iowa State had a good week with a late second victory over Kansas State and rare road win at Oklahoma. The Cyclones are now just one game back in the Big 12 Title race. Check out photo galleries from Iowa State’s wins over Texas and Oklahoma State. The Cyclones are now 4-2 in the Big 12, which has them tied for third place with the Baylor Bears. 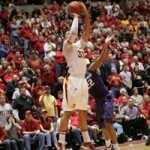 The Iowa State Cyclones beat up the Iowa Hawkeyes 86-76 in front of a sold out Hilton Coliseum. 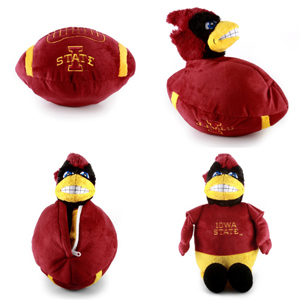 ISU took a 21 point lead in to halftime and were never threatened in the in-state rivalry game. Iowa State basketball is 5-1 to start the season. The Cyclones are shooting very well from 3 point range, averaging 11/game and hitting them at a 44% clip. 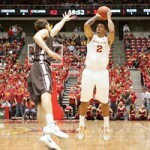 The Iowa State Cyclones cruised in the opener beating a talented Lehigh squad 86-77. 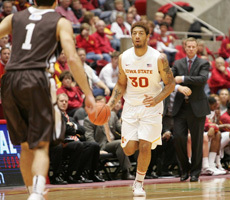 Royce White had a huge first game as a Cyclone with 25 points, 11 rebounds and 3 blocks. 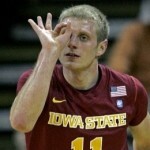 Iowa State fell to #3 Kansas 84-79 on Wednesday night. 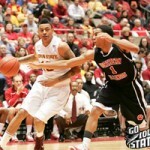 Diante Garrett had 27 points to lead the Cyclones. ISU is now 13-4 and 0-2 in the Big 12. 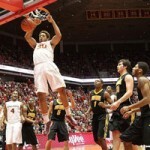 Check out the latest photo gallery from Iowa State’s win over Northern Illinois. ISU is 13-3 heading into the match up with #3 Kansas on Wednesday night.